Hi everyone. 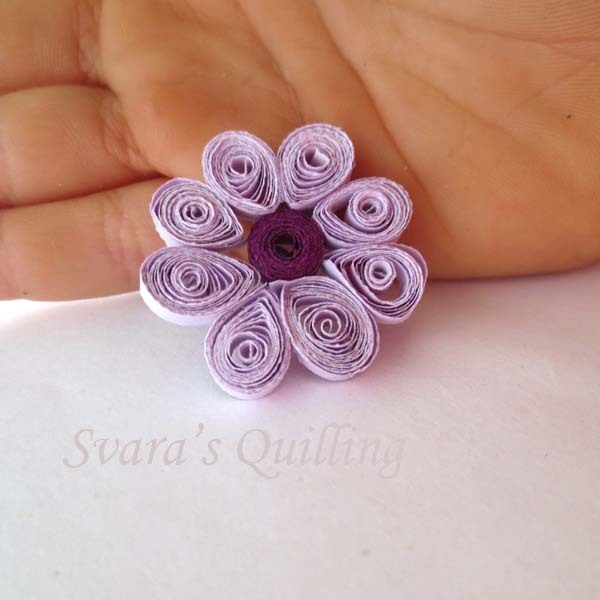 This is my purple paper quilled flower. Would you like to know how to make it? First I made eight little petals. I used a quilling circle board like the one you see here to make sure that the petals were even. Then I pinched them to make them into a teardrop shape. For the middle of the flower I made a tight circle for the center. Then I used the tweezers to hold the petal and dip the tip of it into glue. Then I used the tweezers to stick the petals to the middle. I pinned it down to my workboard to dry. This flower could be used for a pendant, but make sure to put sealant on it (click here to view lots of posts about using sealant for jewelry). It can also be used for a card decoration, a magnet, or other things. Thank you for coming to Quilling for Kids. Goodbye! 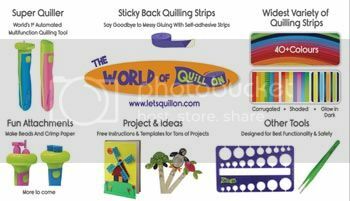 You can click here to see all of my Quilling for Kids posts. 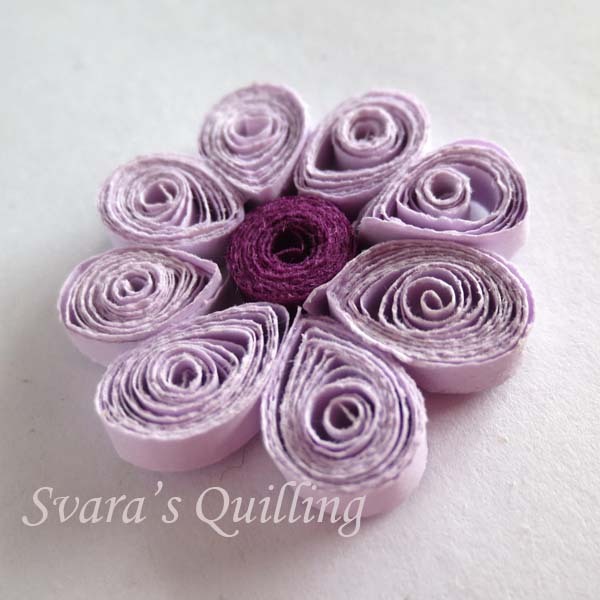 PreviousAutumn Giveaways from Honey’s Quilling – Week 4 – Quilling Shapes Board! NextQuillspiration – A Roundup of 12 Halloween Paper Quilling Designs – Some With Tutorials! What a wonderful tutorial, Svara! I liked how you gave great details about how to use the tools, step by step, and included ideas of what they can use it for when it’s finished. 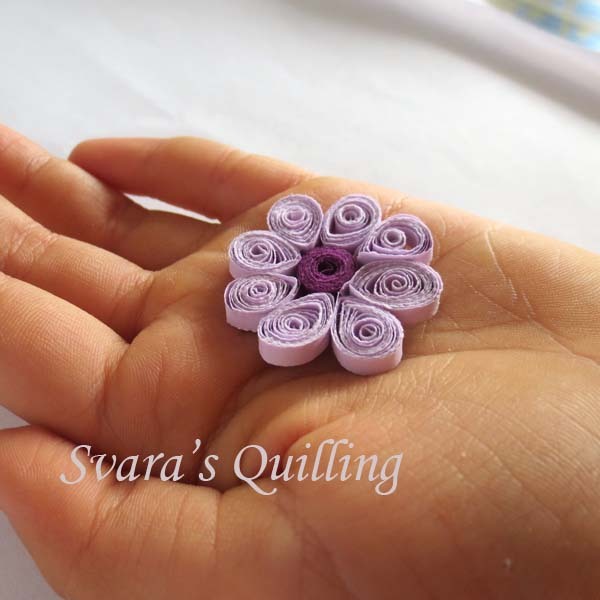 Your quilling is fantastic and I hope you inspire more kids (and adults) to try quilling.